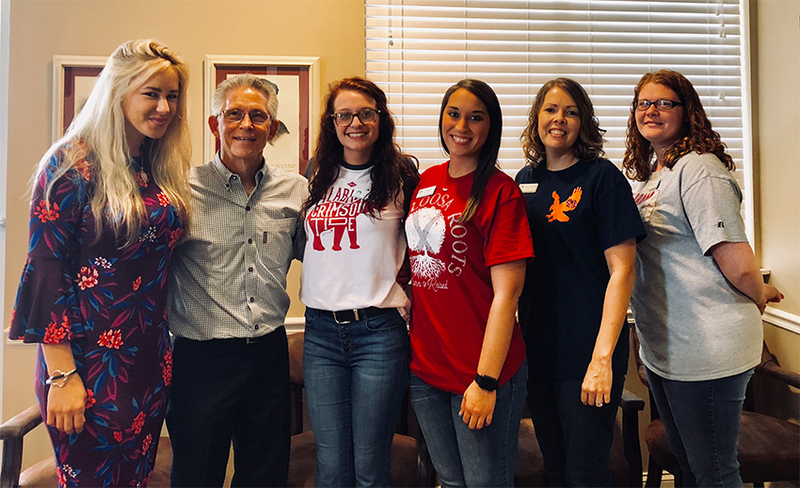 Dr. Rusty Herring hosted an incredible Student Recruitment Event with Admissions Counselor, Whitney Brown and Student LIFEforce, Ashley Guidry. They had an incredible turnout and everyone learned more about Chiropractic and the great Life U Opportunities. 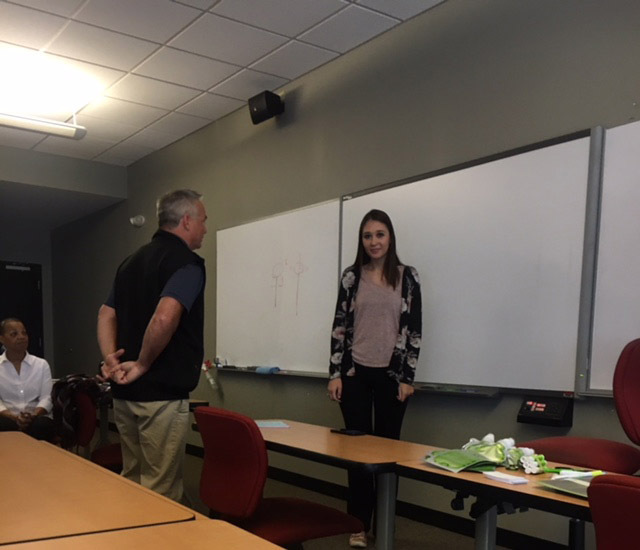 Admission Counselor, Whitney Brown visited with students at The University of Mississippi (Ole Miss) where she shared Why Choose Chiropractic and Life U. One of the students is excited to apply and start the DC program in 2020 and the other student is attending LIFE Leadership Weekend in January and applying to start in 2020! A huge SHOUT OUT to the greatest contacts in Health Professions Advising office at Ole Miss! Thank you for having us! 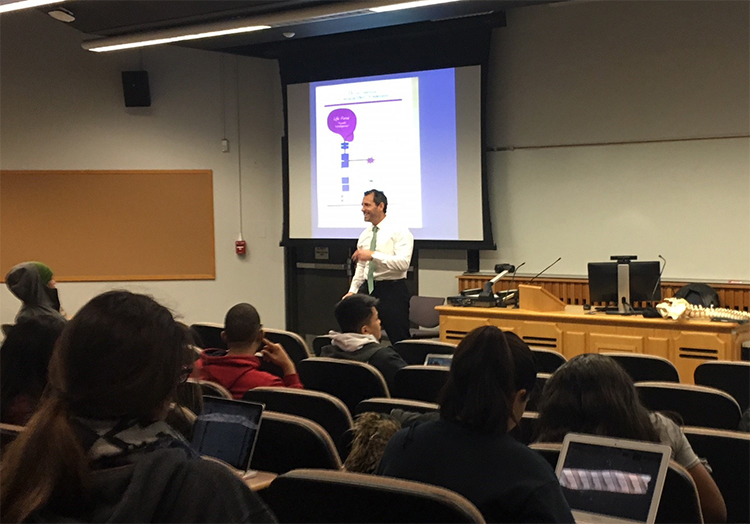 Dr. Katzen and Eve Katzen presented to a group of students at Usciences. They are a traveling Chiropractic act for sure! 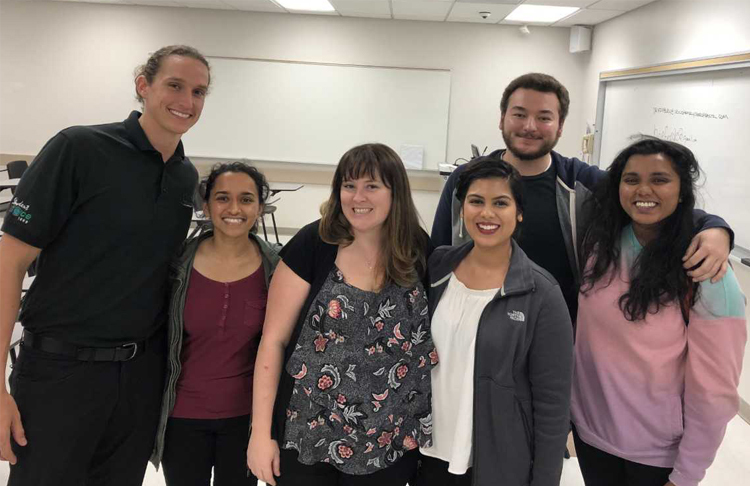 They presented to a small group of health science majors to a school known for pharmacology and PT but they have a growing exercise physiology department. These students graduate with all the pre-requisites needed for Chiropractic school and they didn’t even know it. Admission Counselor, Whitney Brown had the opportunity to spend some time with Dr. Leach who is a LIFE Alum. Many of these students from Mississippi State have been accepted to Life University and will be attending next year. 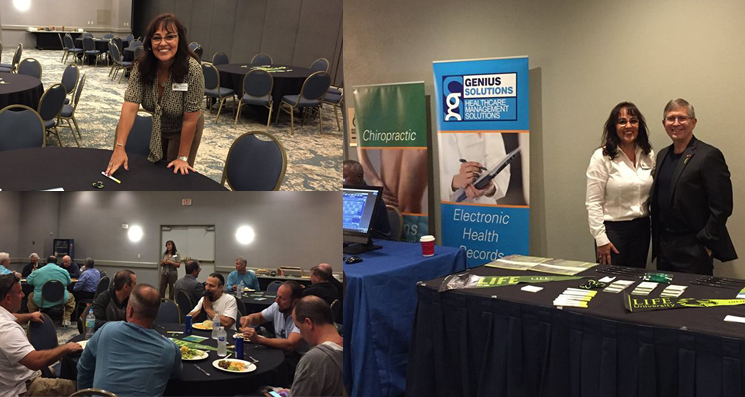 While enjoying lunch there were able to talk about Chiropractic, including all things vitalism, and even what to expect while in the program. Thank you Dr. Leach for sharing time with us. A great presentation from a seasoned Chiropractor, Dr. Eric Benedetti. He knows his stuff! 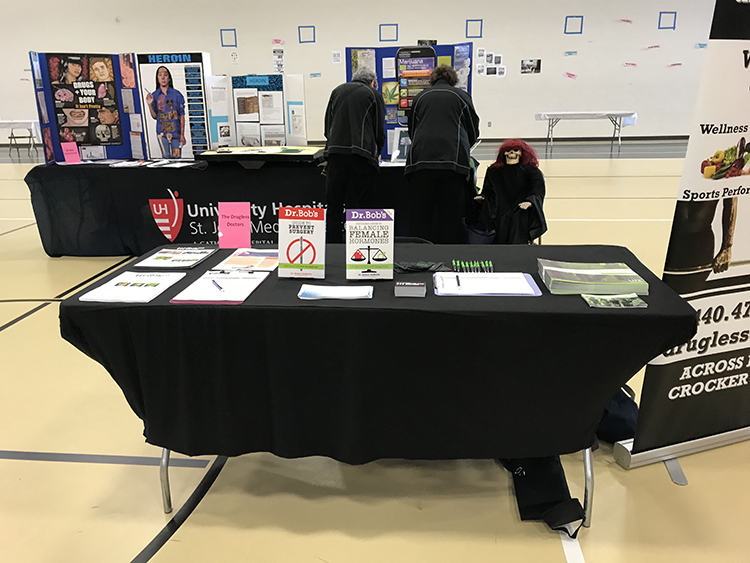 Regional Recruiter, Eve Katzen and Dr. Eric are at Montgomery County Community college for TWO presentations today. 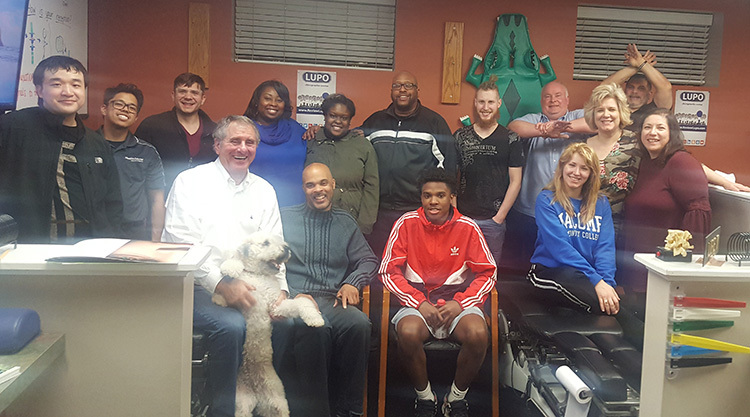 Posture test, gait tests and more…The students left with not only a clearer picture of Chiropractic but the possibility of becoming one. 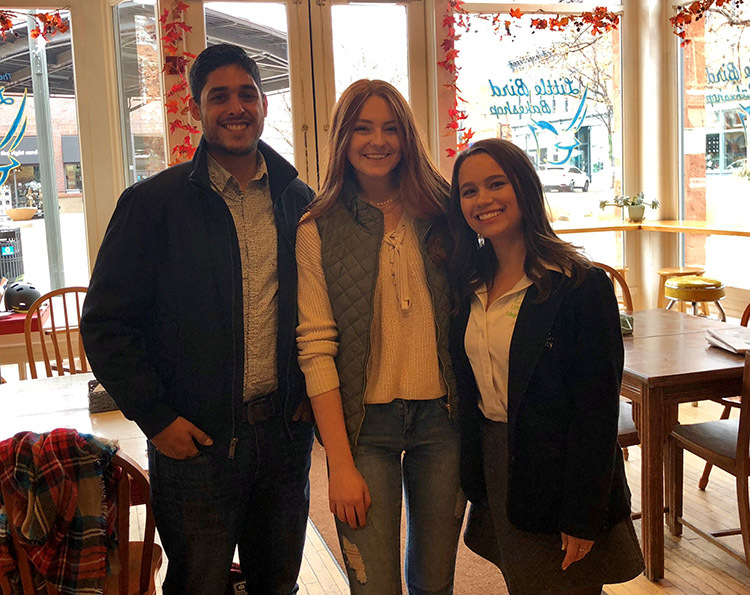 LIFEforce Tribe Member, Dr. Andres Julia and Admissions Counselor, Reanna Untener had a great informal chat about chiropractic and Life U with Sylvia in Colorado who will be joining us in the Spring. Thank you for all you do. Life U President, Dr. Rob Scott, in Winnipeg, Canada discussing Life University with doctors and prospective students. Thank you, Dr. Brett Carter for being a fantastic host and to everyone that attended this great event. 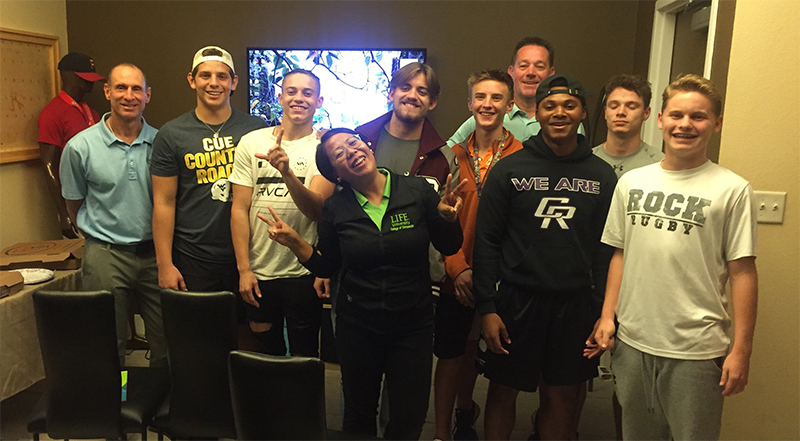 LIFEforce Tribe Member and Life U alum, Dr. Paul McCartney (aka Dr. Rock) welcomes Admissions Counselor Carmina Bioc to speak to some of his high school Rugby players and parents about Chiropractic and the opportunities at Life U. Thank you! 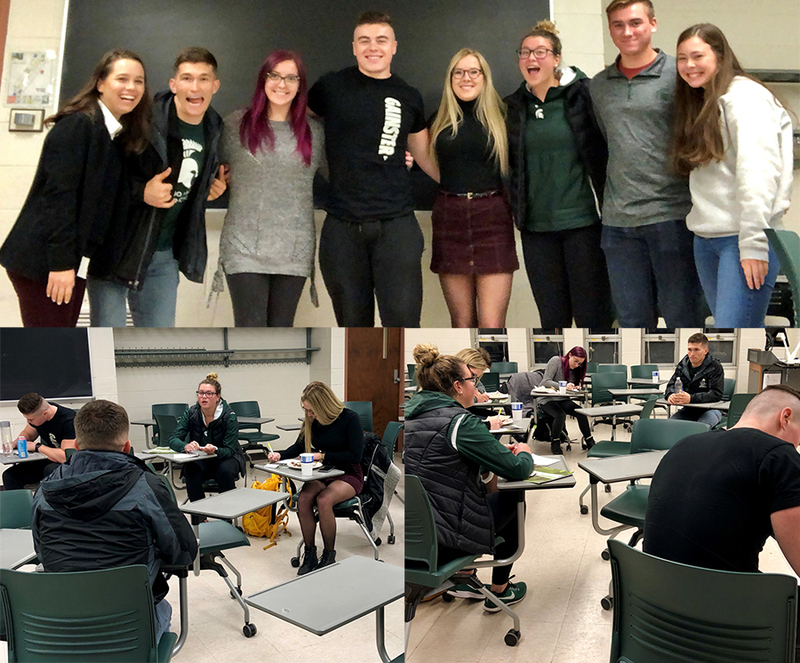 Admissions Counselor Reanna Untener had the opportunity to meet with the Michigan State Pre-Chiro Club, she shared information about Chiropractic and Life U. 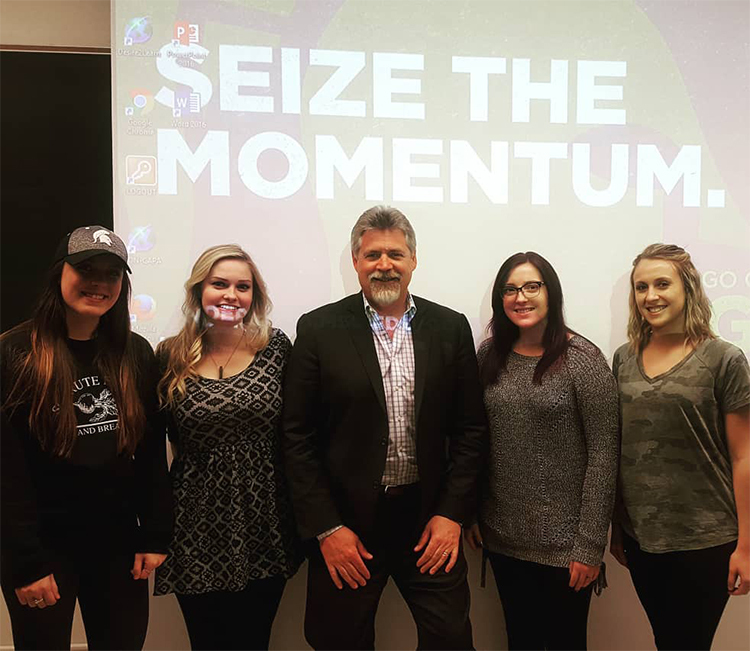 Student Ambassador, Jack Goss was in attendance and shared his Chiropractic and LIFE journey with these students. 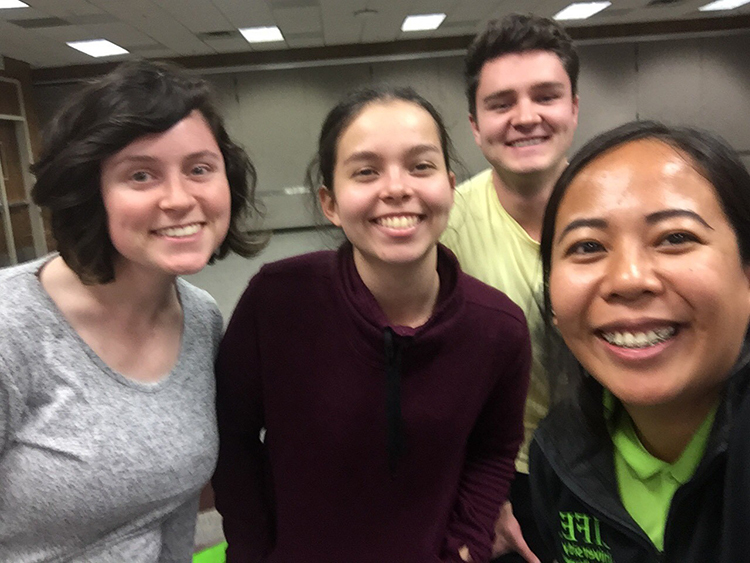 He was great—thank you all very much for your participation and learning more about Life University! 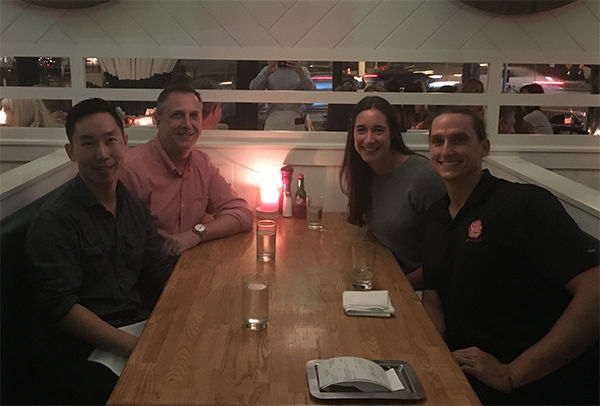 Regional Recruiter, Heather Kimbley had the privilege of having Dr. Scott and Dr. LaMarche visit with the San Diego pre chiro club. They had a lot of fun! 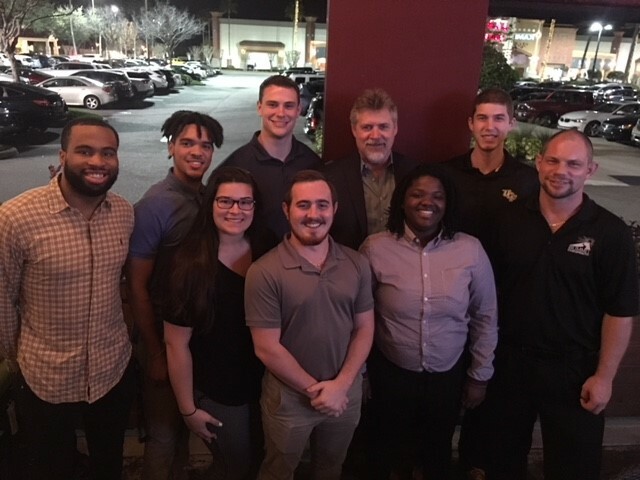 Connections were made with future students, and it was wonderful to have Student Ambassador, Xavier Ortiz and LIFEforce doctors Dr. Danny Gambino and Dr. Daniel Kimbley also attend. A small family reunion on the west coast! Drs. Anthony and Casen DeMaria had the opportunity to speak to students at Messiah College about health, chiropractic and Life U.
LIFEforce Tribe Members, Dr. Chantelle Kempinski and Dr. Tony DeRamus join Admissions Counselor Carmina Bioc to host a Student Recruitment Event at the Texas A&M’s Chiropractic Society! 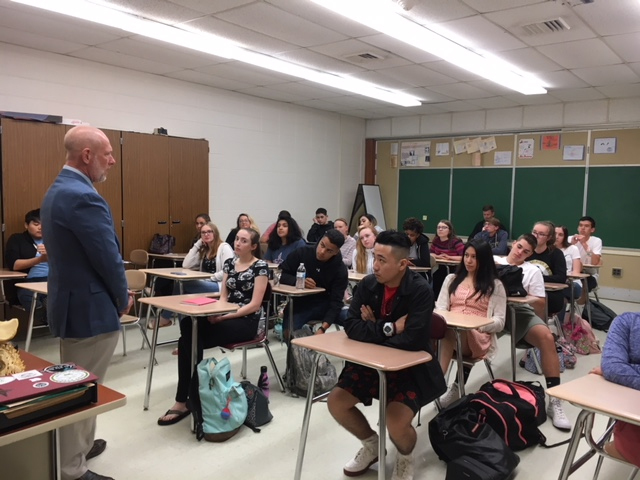 Dr. Stu Katzen spoke to a class of Juniors at Absegami High School. He covered not only Chiropractic but posture health and lifestyle choices. The students were having fun participating. A current Senior, Spencer O’Brien just signed with LIFE and is receiving a Rugby scholarship! He starts his pre chiropractic education next Fall! Dr. Bill Moss, owner of Keystone Specific in Reading, PA completed an SRE this morning bright and early! It was their first presentation together and he was engaging, relatable and connected well with the prospective students. He had such great success. 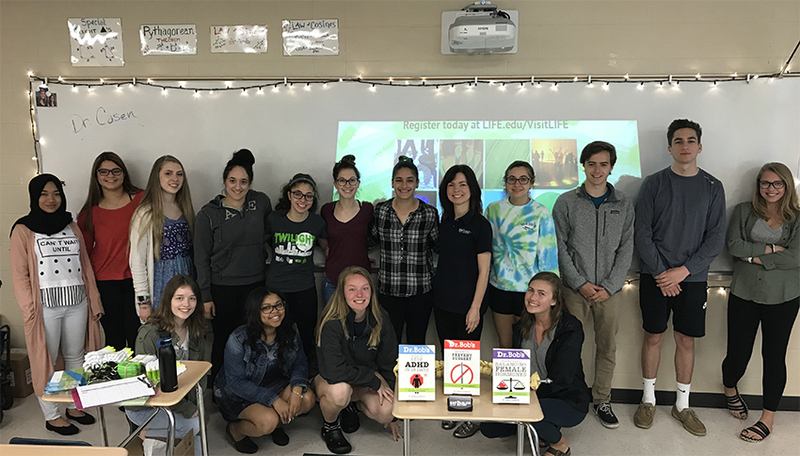 LIFEforce Tribe Member, Dr. Kim Bender had the opportunity to share information about Health, Chiropractic and LIFE University to students and advisors at Clearwater High School. Thank you for your support and service to LIFE U! 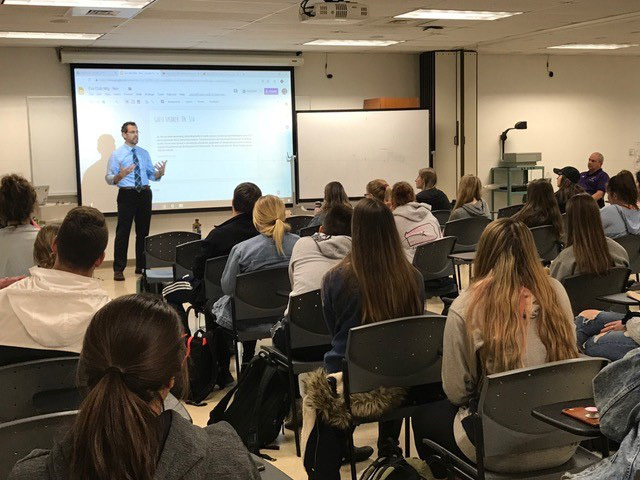 Dr. Stu Katzen had the opportunity to do several classroom presentations at Montgomery Country Community College to the Exercise Science classes. Students asked great questions after the presentation. 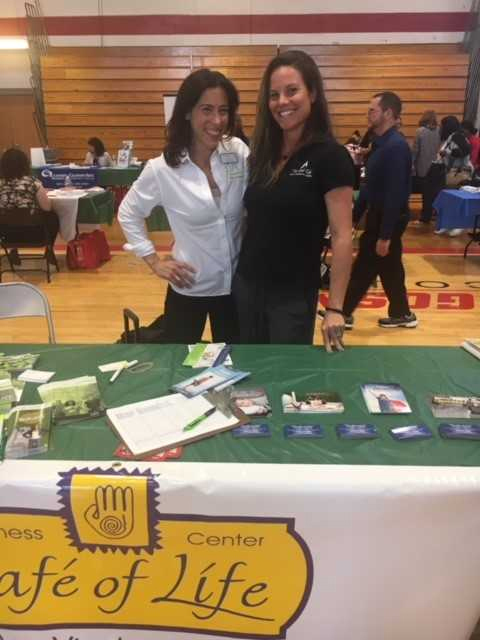 They also found many who wanted to be checked and Dr. Stu is hoping to connect them with Chiropractors in their area. 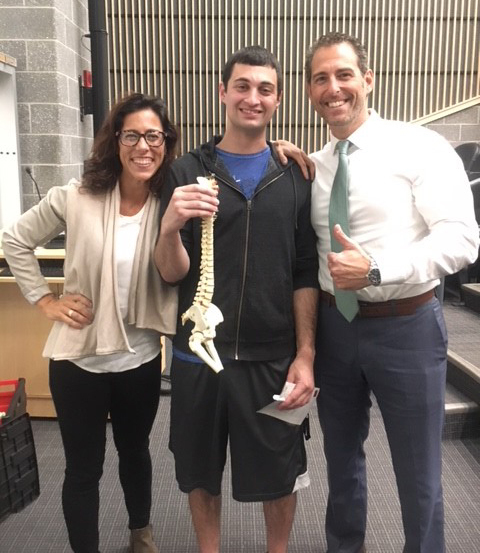 Gina P., was one of the students that heard Dr. Stu speak, said “I am currently a massage therapist and decided last May that I would go back to school to finally pursue my dream of becoming a chiropractor. 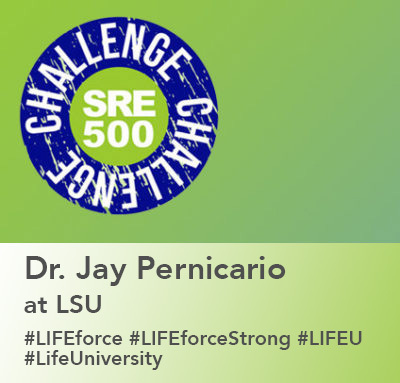 I am extremely interested in visiting Life University for the LIFE Leadership Weekend in April 11-14, 2019. Welcome LaDaZhane Hughley from Alabama A&M University who is now applying to the Doctor of Chiropractic Program after Admission Counselor, Whitney Brown visited with her in Huntsville, AL. 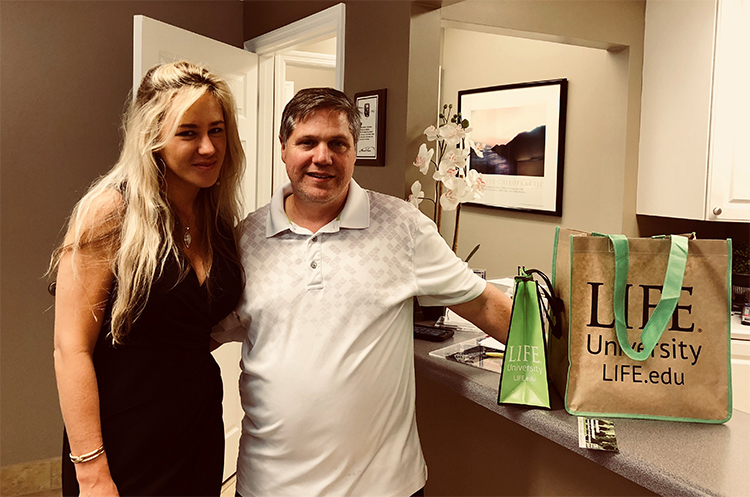 A huge shout out to LIFEforce Dr. Greg Millar for taking this student under his wings to mentor her and allowing her to shadow in his office for the next few months. 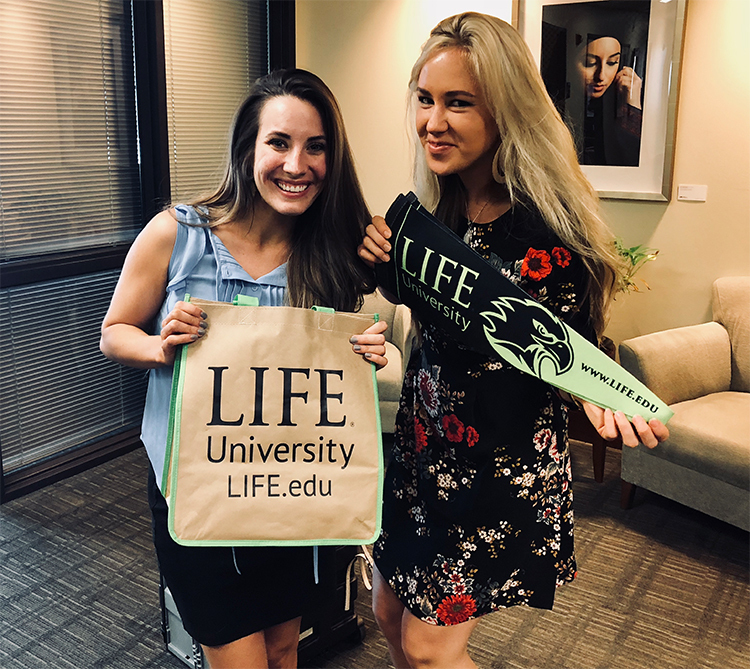 Admission Counselor, Whitney Brown visited Kennesaw State University and spoke with the AMWA Student organization with Dr. Joy from LIFE U. 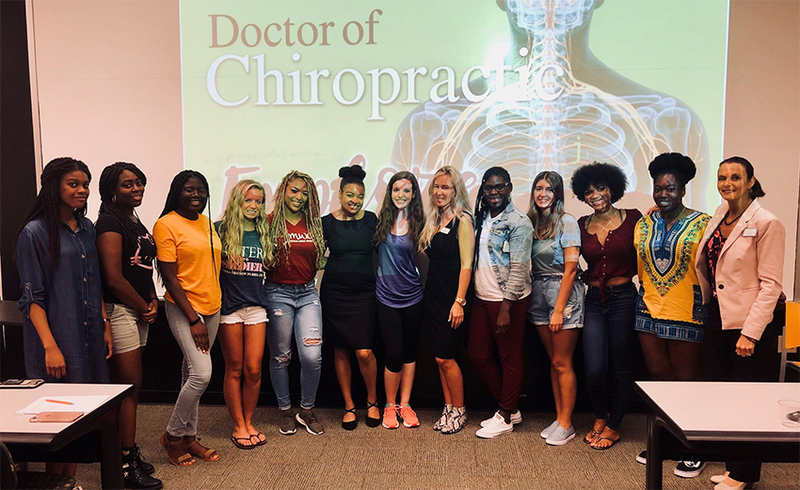 It was a fantastic evening sharing Chiropractic with this medical women’s student organization! They will continue their relationship by having the group come to LIFE for LLW and a private tour next Spring. Thank you, LIFEforce Dr. Michael Lambert from Family Chiropractic in Oxford, AL. He is excited about hosting an SRE this coming spring with Admission Counselor, Whitney Brown and brainstorm ideas how we can reach students in central Alabama. They spoke to patients about Life U and how to grow the profession. It was such a pleasure getting to know Ryan and Tyson. They both had amazing chiropractic stories to share. 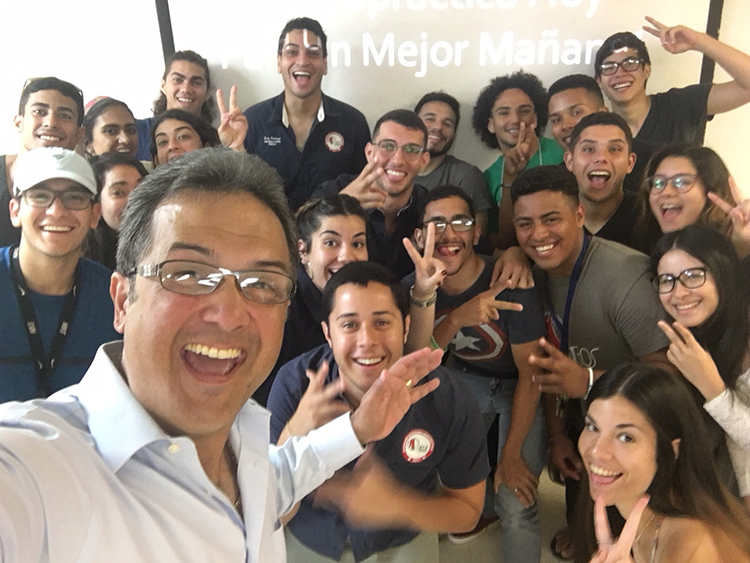 It’s always wonderful having one-on-ones with students who believe in the healing power of the body through this profession. I can’t wait for their journey. 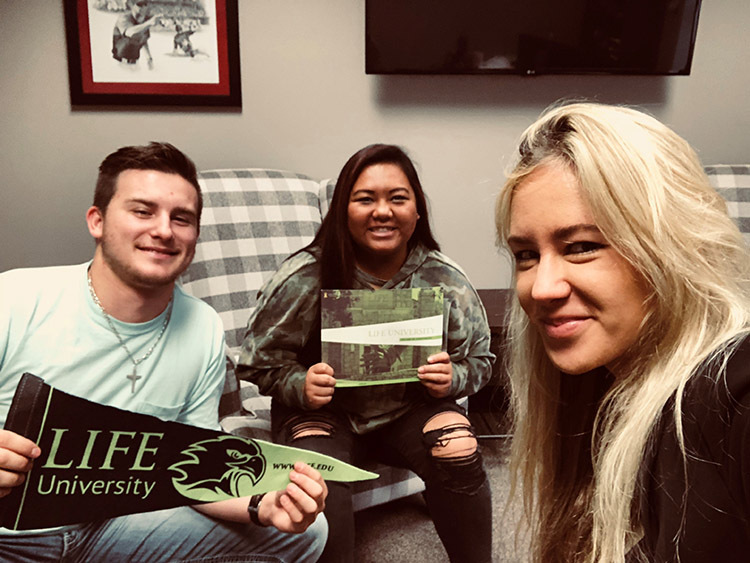 They are so excited to learn more about Life University. 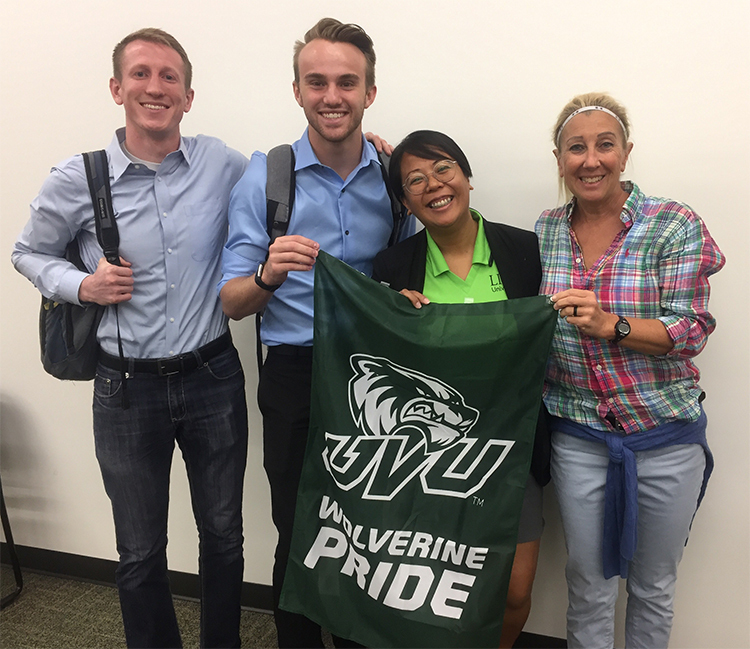 Special thanks to Utah Valley University Pre-Health Counselor Jeannine Rushing for arranging the meeting and being a one-of-a-kind counselor. She is such a guiding force. 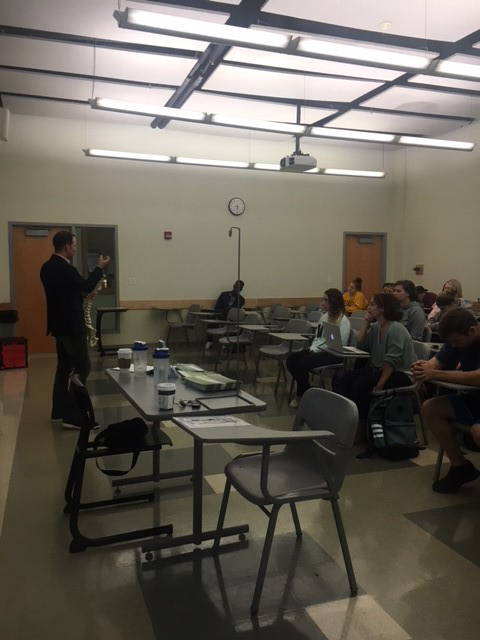 LIFEforce Tribe member, Dr. Stu Katzen and Dr. Aneta Toczylowska at Key to Health Chiropractic had a great presentation at ESU in front of 60 undergraduate Exercise Science students. The students were very engaged and enthusiastic! Dr. Katzen was asked to return this spring to speak to more students. 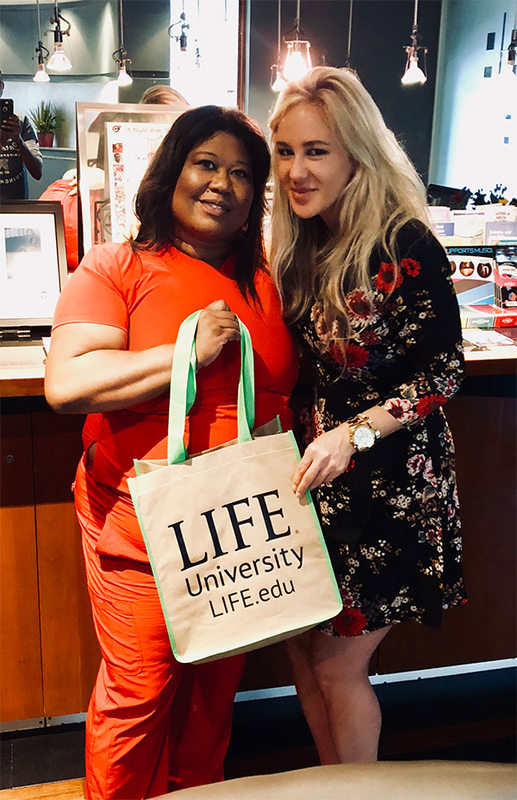 Carmina Bioc, Admissions Counselor had the opportunity to have a one on one with Shahnaz to discuss the opportunities at LIFE because of her passionate post on Instagram about health and wellness. Shahnaz is planning to attend October LIFE Leadership Weekend (LLW). 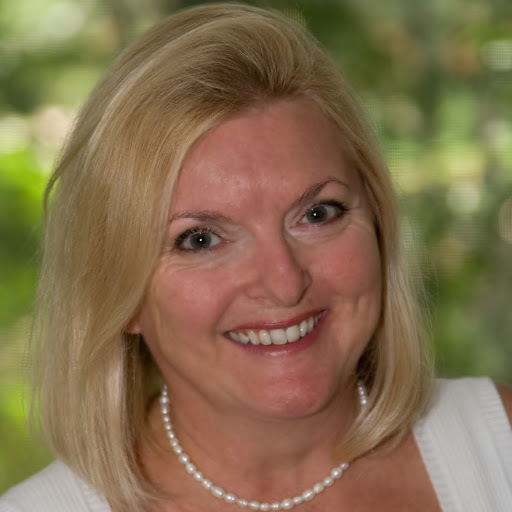 She was fascinated to find that she can help children as a chiropractor and serve in a holistic profession. Her mother had always told her she would make a great chiropractor and has always been in the back of her mind. 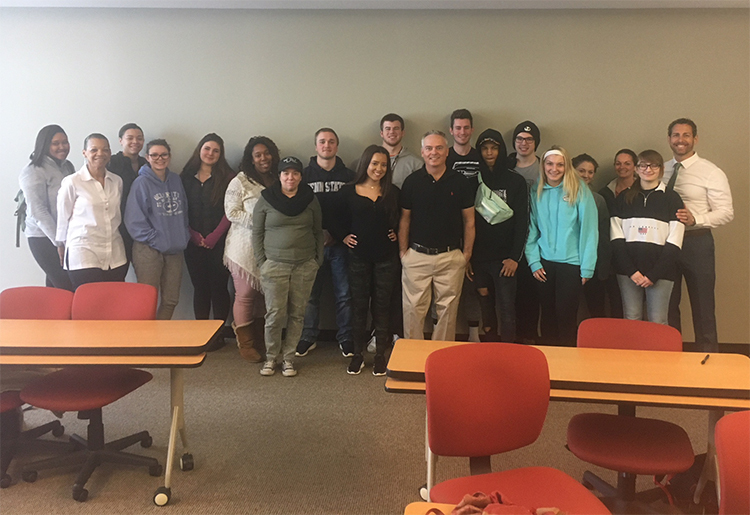 LIFEforce Doctor, Dr. Tony Janssen, 13’ grad and Regional Recruiter Danielle Jansen had the opportunity to present to the pre-med club at MCC. 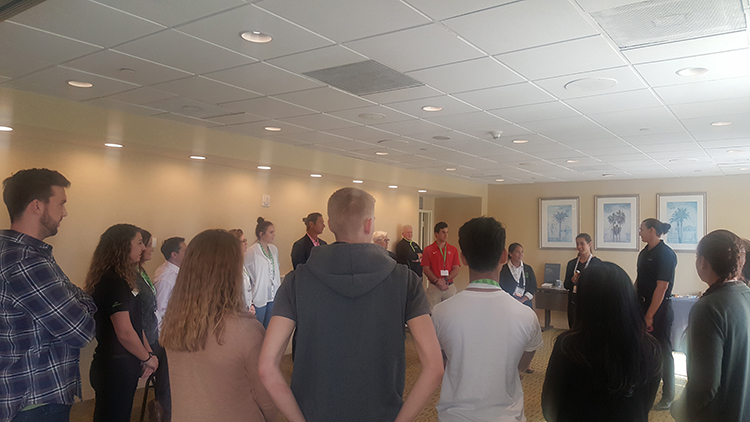 Several students come up after the fact and said how much the message of vitalism really resonated with them and the direction they would like to go within healthcare. At the end of the talk when they learned of the LIFEforce benefits to visit Life University, they shouted and clapped with excitement. LIFEforce making a difference! 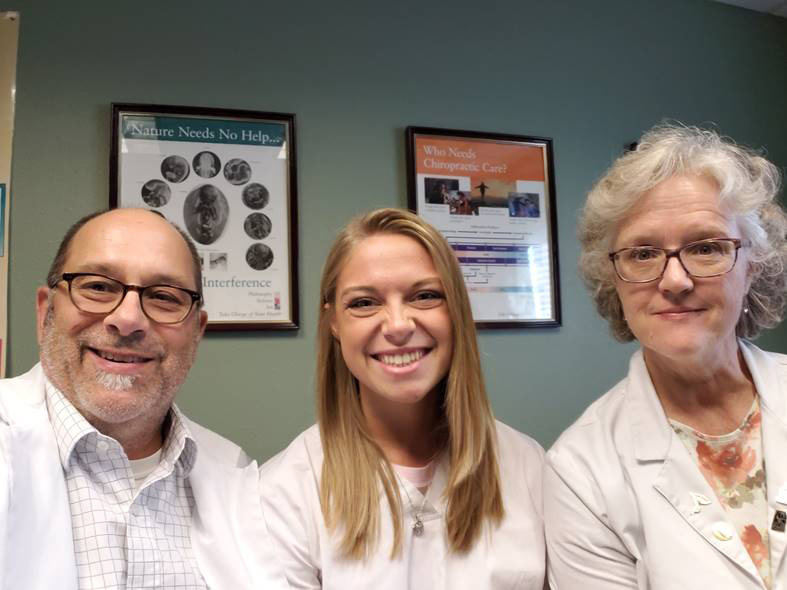 LIFEforce Tribe Member, Dr. Daniel Kimbley and Regional Recruiter Heather Kimbley hosted prospective student Paul C. and Philip at Dr. Kimbley’s office. They drove from Long Beach to Dana Point to shadow Dr. Kimbley in his office. They had the opportunity to answer more questions about chiropractic and Life U. They are looking to attend LIFE Leadership Weekend (LLW) in January 2019! 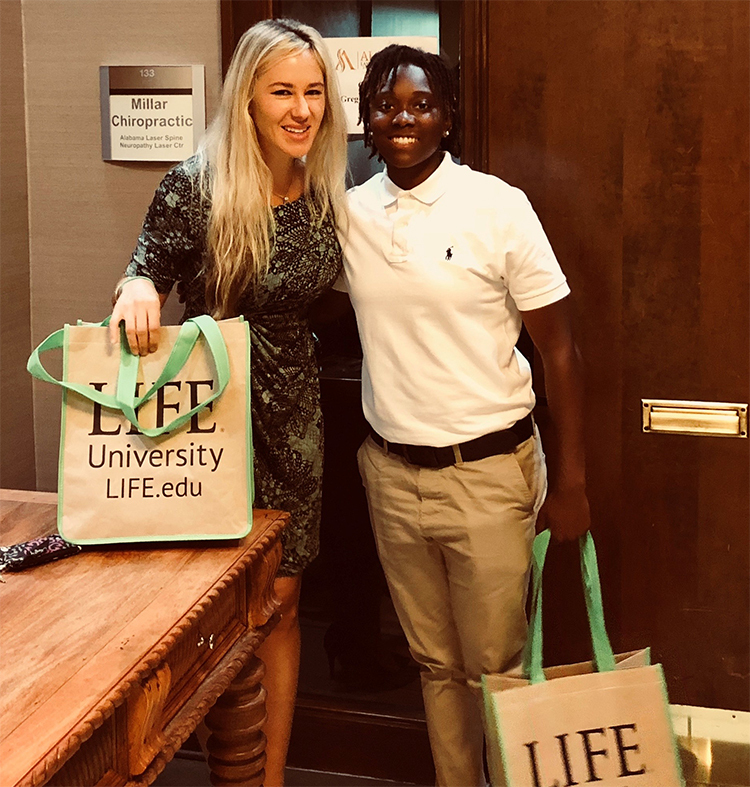 LIFEforce Doctor, Dr. Tajuan Woody-Mahatoo hosted a Student Recruitment Event in Birmingham, AL Thank you, Dr. Woody- Mahatoo for your love, passion, energy, and service to LIFE U and Chiropractic! 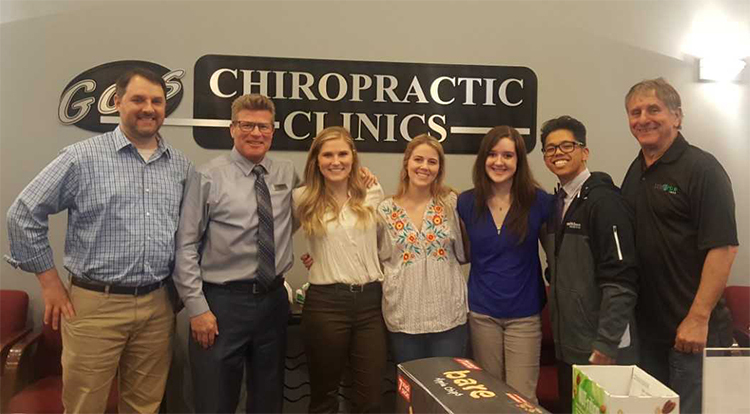 Thank you Dr. Sellas for hosting students at the RUM Orientation of the Discovery of Chiropractic Day! Many interested students from this event are excited to attend a LIFE Leadership Weekend. It was a big hit! 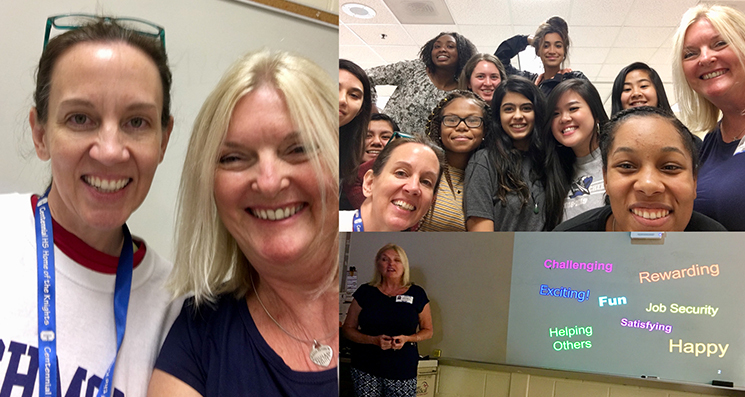 Dr. Claire Welsh hosted an SRE at Centennial HS, Roswell GA. She discussed the curriculum & the inclusion of more chiropractic concepts & neurology in the North Fulton County Public School’s Healthcare Career program. Many exciting opportunities are in LIFE’s Future! Thank you, Dr. Claire for your love, passion, energy, and service to LIFE and Chiropractic! 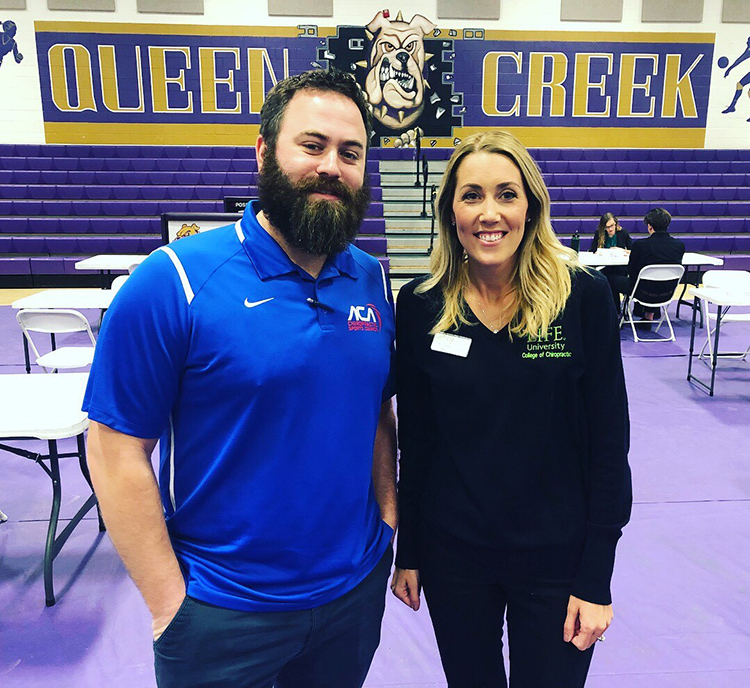 Regional Recruiter, Danielle Janssen had the opportunity to connect with Dr. Mike Borski! Thank you Dr. Borski for recruiting students to Life University and showing your support. We’re very grateful for your efforts and going above and beyond to ensure we have more vitalistic chiropractors! A warm welcome to Emily Johnson interested in LIFE and vitalistic chiropractic! 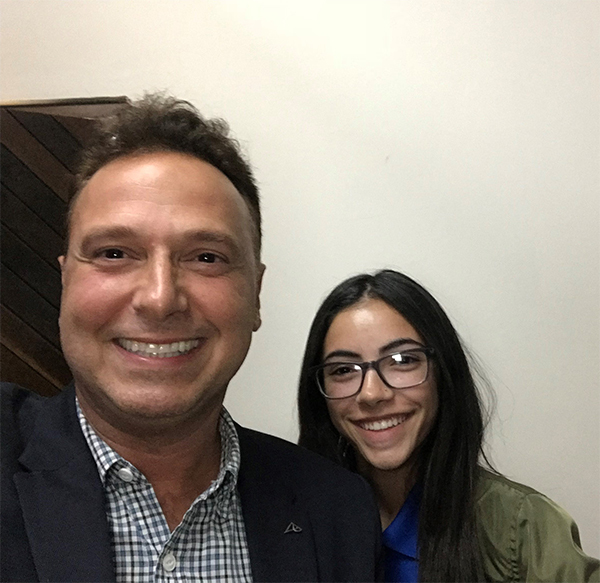 LIFEforce Doctor Carlos Selles had the opportunity to have a one on one with student Regina from Puerto Rico, when she visited his office to shadow him for the day. Thank you! One on Ones can be so powerful! Have a student shadow your office today! 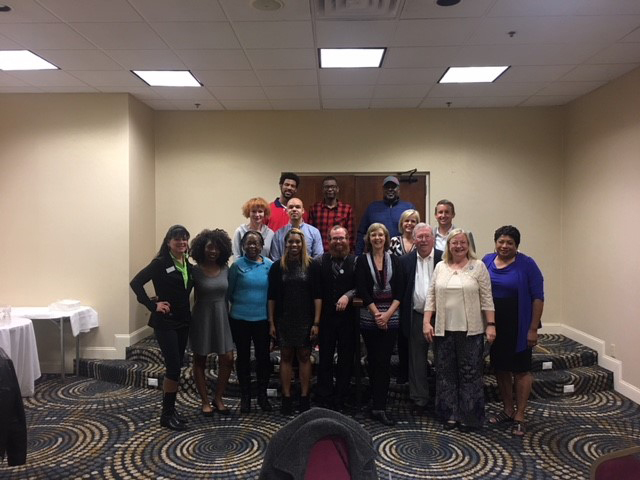 Patrina Smalls, our Undergraduate Admissions Counselor attended this SRE with LIFEforce Tribe member Dr. Paul McCartney (a.k.a. Dr. Rock). This shows you can have an event anywhere… even out in the rugby fields. Thank you Dr. Rock! Just awesome! 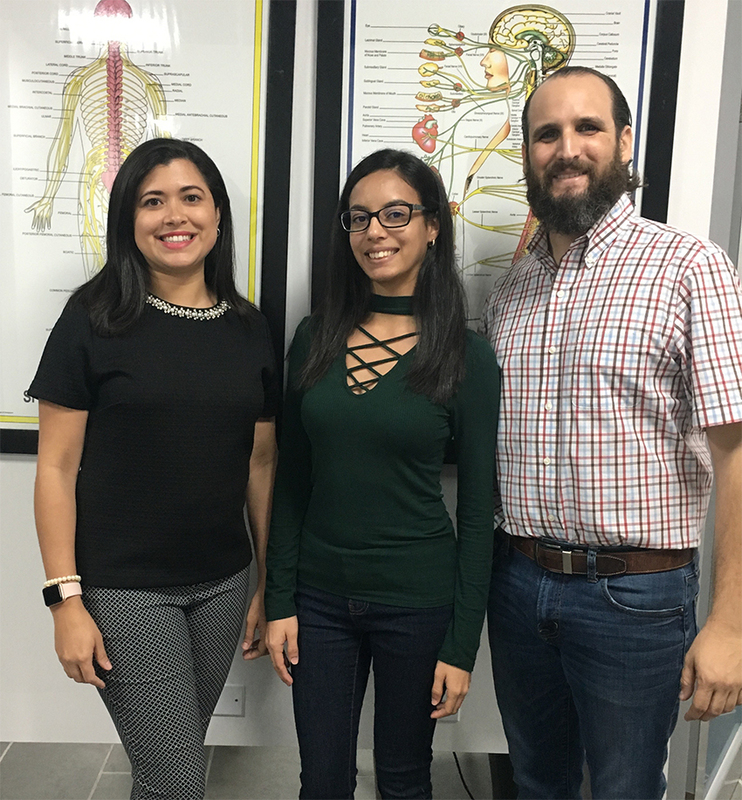 LIFEforce Doctor Eddy Diaz had the opportunity to have a one on one with Prospective Student Sarimar from Puerto Rico, when she visited his office to shadow him for the day. She is excited to attend a LIFE Leadership Weekend. Thank you! One on Ones can be so powerful! Have a student shadow your office today! 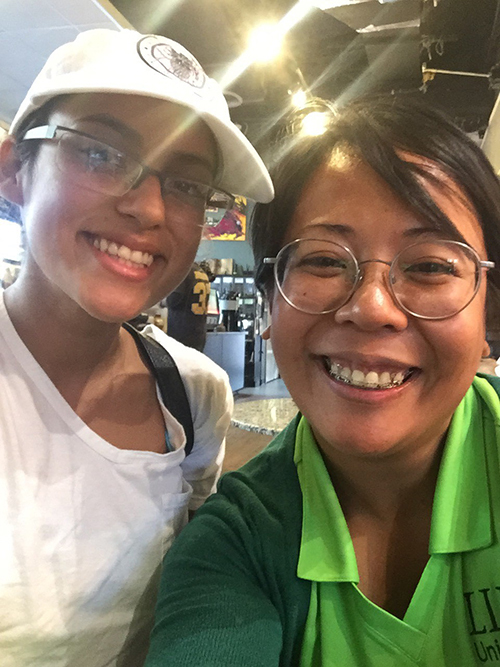 LIFEforce Tribe Member Dr. Claire Welsh had the opportunity to have a one on one SRE with student Indrea, who is excited about attending LIFE Leadership Weekend July 20-21. Thank you, Dr. Welsh! 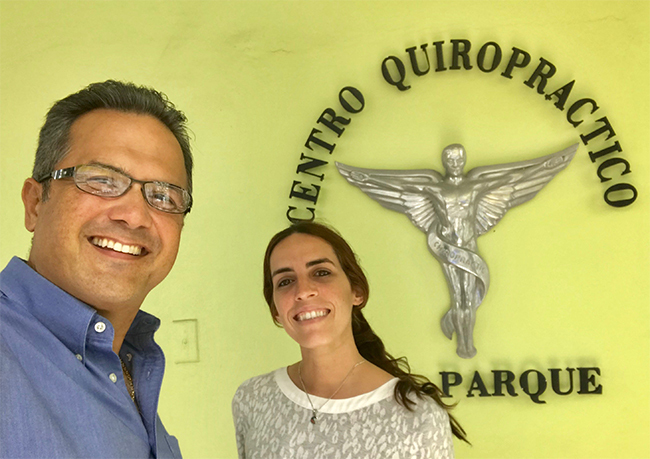 LIFEforce Tribe Member, Dr. Ricardo Alvarez from Puerto Rico conducted a one on one SRE in his office with prospective student Stephanie Quiñones. The Dream Team delivered an SRE to Temple’s Rugby team. Dr. Danny Gambino, Dr. Stu Katzen and Dr. Blake Bradford. Lasting Purpose in motion! 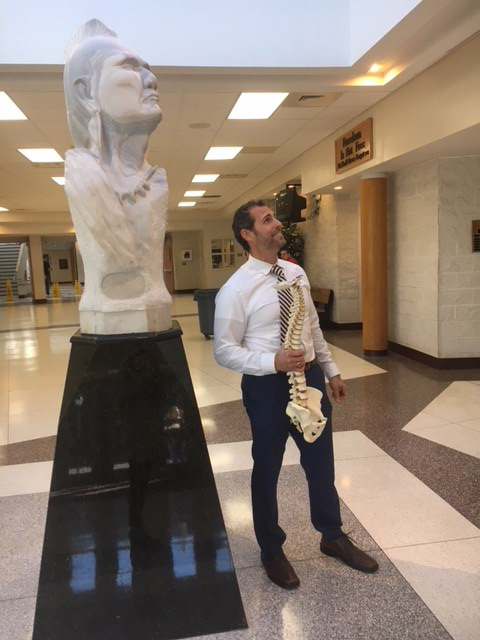 Dr. Jay Zimmerman presented to Absegami High School students. 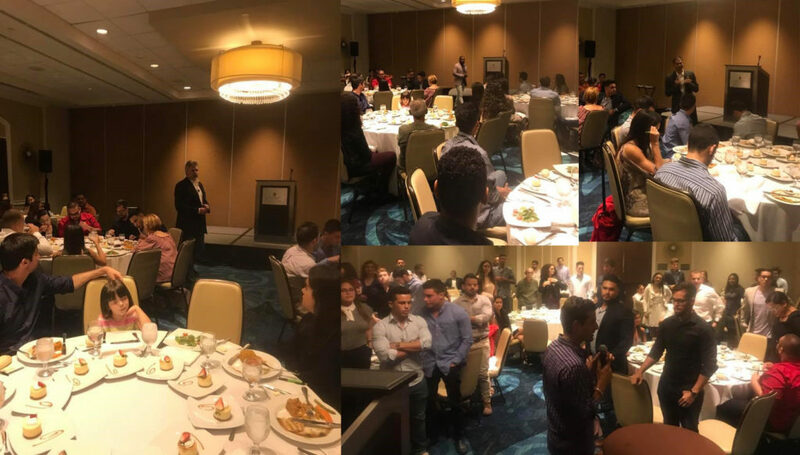 Student, Spencer O’brien helped organize the event who just came back from LIFE Leadership Weekend, inspired and passionate for Chiropractic! 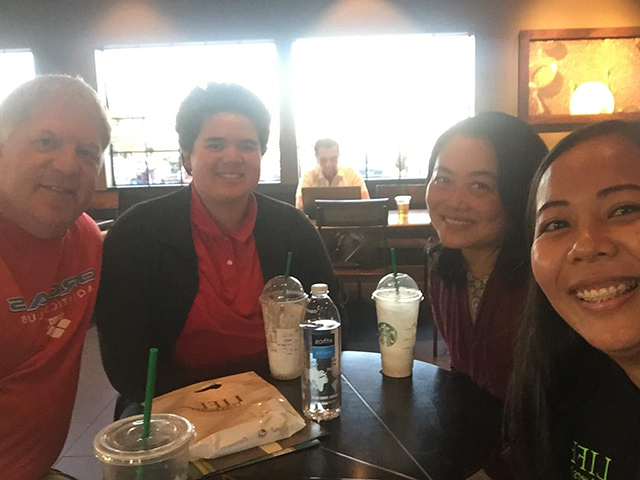 LIFE Recruiter Carmina Bioc held a Student Recruitment Event in Washington with Mrs. Huck, Tanner Huck (son), and Dr. Huck. Great event! 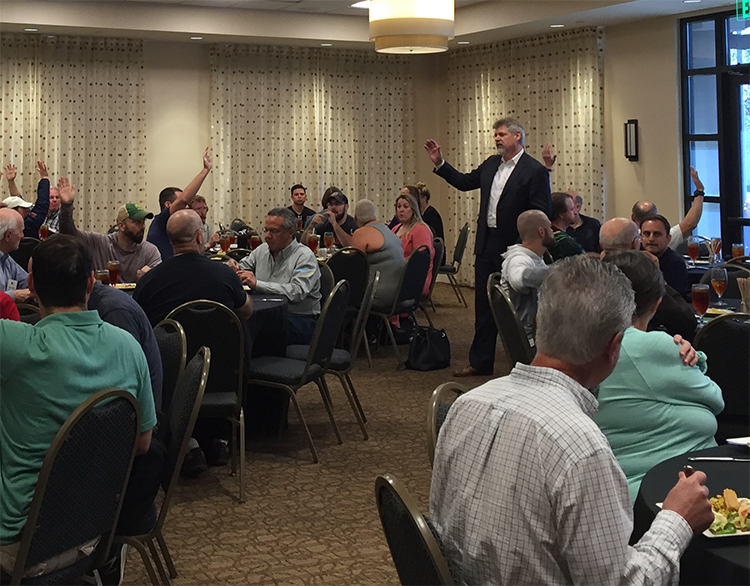 Life University President, Dr Rob Scott, hosts a dinner with Arizona DC’s. A great night was had by all who attended including LIFEforce Tribe Member Dr. Tony Janssen. Drs. Anthony and Casen DeMaria had the opportunity to speak to students at West Lake High School. Spreading Vitalistic Chiropractic! 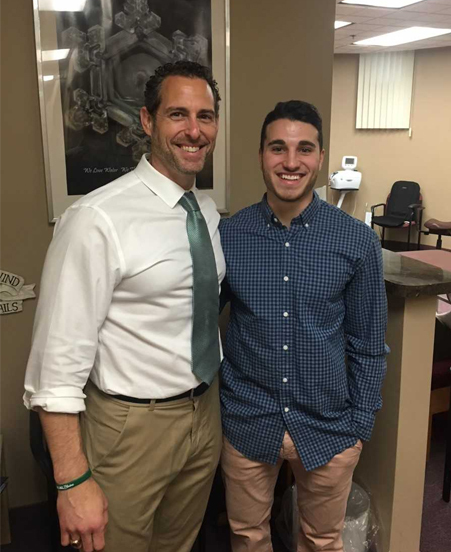 Nick Portolese, son of Dr. Tammy Portolese, class of 97’ came to shadow and visit Dr. Stu Katzen. 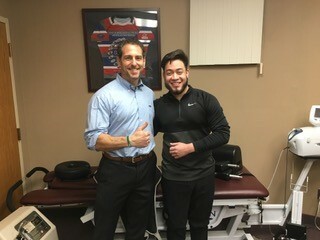 Nick is a current student at West Chester University, and will be pursuing a career in Chiropractic at LIFE! As always, Dr. Stu has an open door for mentorship and guidance. 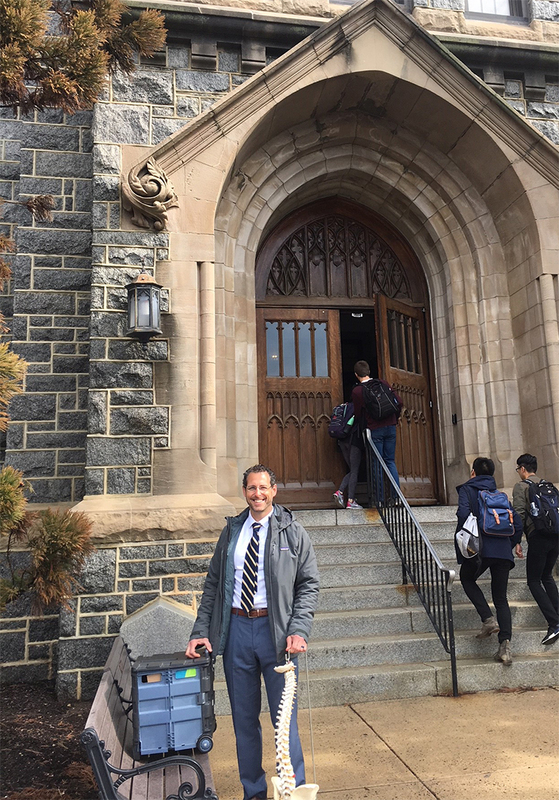 LIFEforce Tribe Members, Dr. Stu Katzen and Dr. Jay Zimmerman visited St. Augustine Prep School in Richland, New Jersey. 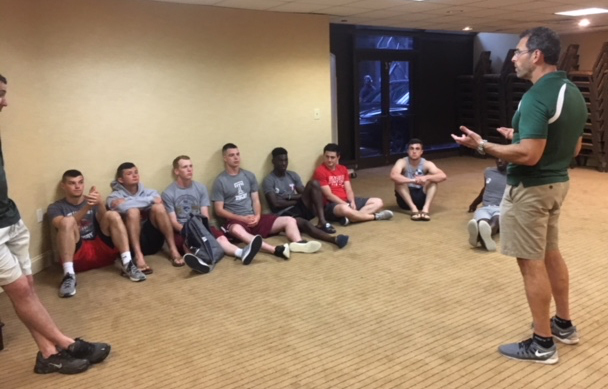 They had the opportunity to speak to their talented Rugby Program about opportunities in Chiropractic and Rugby at Life U. They were warmly received and asked to come back. The coaches, students and parents were attentive and engaged. Sean Lynch was in attendance. He earned an athletic scholarship at LIFE and is pursuing Chiropractic in the Fall of 2018. We had an exciting and inspiring day at Vineland High School. Dr. Katie Sarnoff and her husband Dr. Mike Sarnoff practice together at Good Life Chiropractic in Vineland, NJ. They are a dynamic duo living lasting purpose. Their son hopes to pursue Chiropractic as a career, and we want to welcome Dr. Katie into the LIFEforce Tribe. The students and staff were warm, inviting and receptive to natural health and a vitalistic model of healthcare. LIFEforce Tribe Member, Dr Stu Katzen gave a stellar performance at Germantown Friends School! 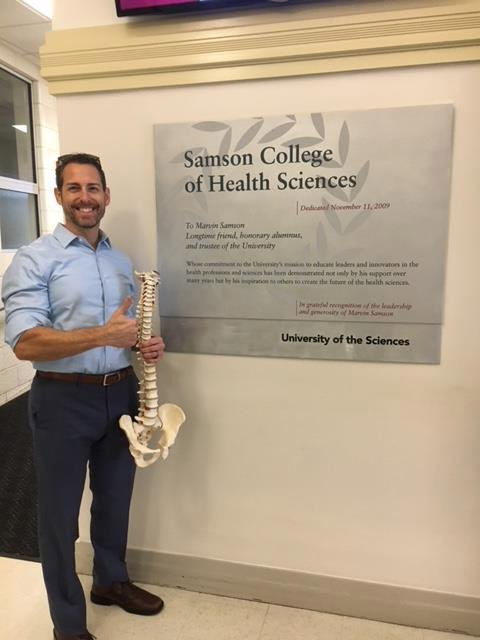 The strength and conditioning coach was so enthusiastic about the message of Chiropractic he decided to film the event so he can play it for others. Thank you Dr Stu! 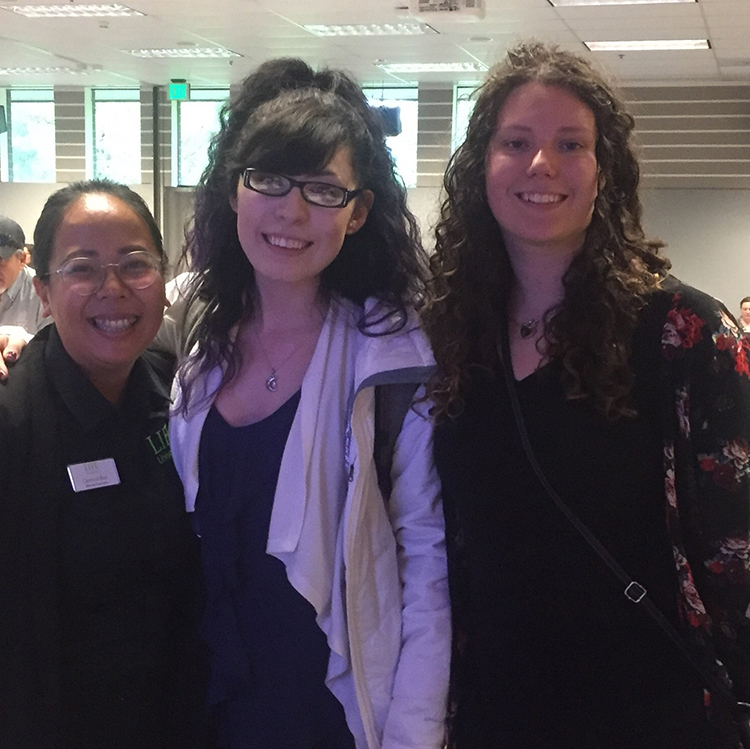 Regional Recruiter, Carmina Bioc, had a great session with the President and members of the Pre-SOMA Club, at Washington State University Vancouver. 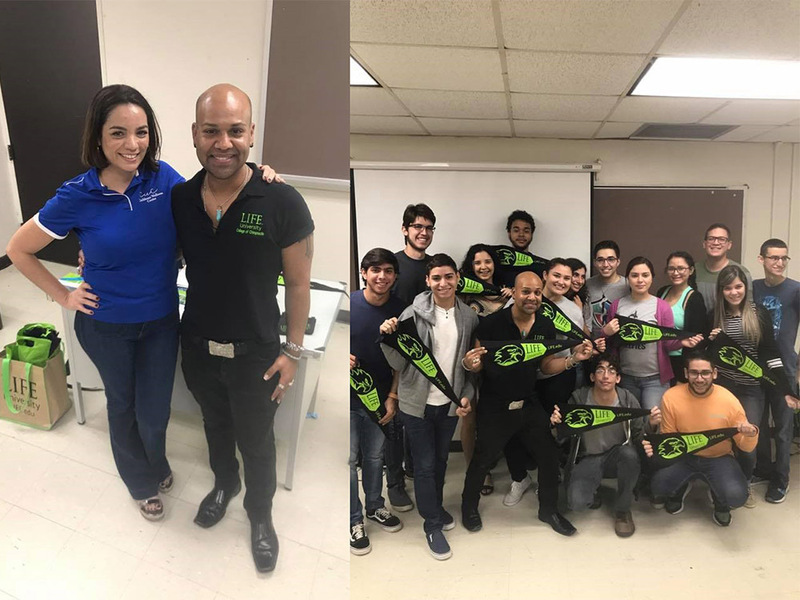 LIFEforce Tribe Member, Dr. Carlos Selles, had a great visit with the Pre-Chiropractic club members at the University of Puerto Rico Mayagüez. 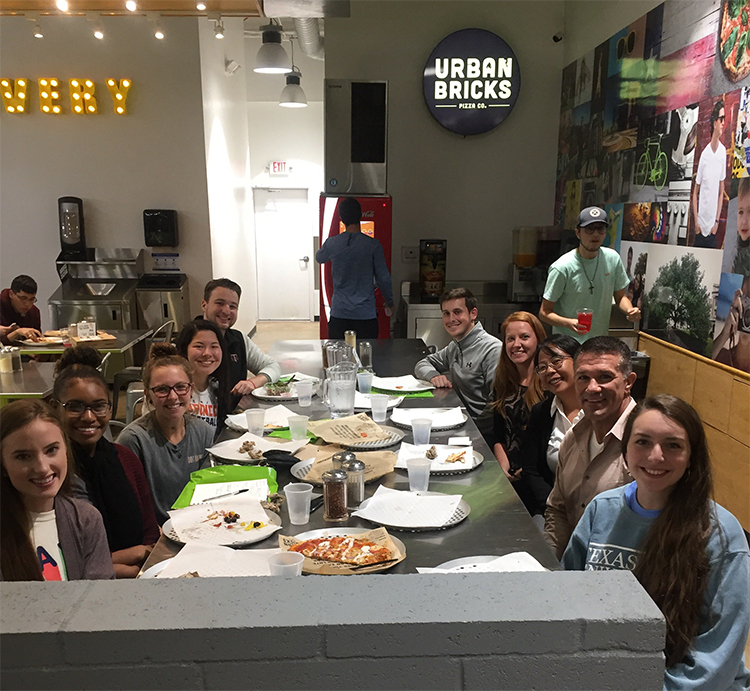 Dr. Stu Katzen got to share his chiropractic story to a great group of students from Villanova University ~ Inspiring and Changing the world! Dr Dawn with LFTM Dr. David Adler at Chattahoochee High School Career Fair. 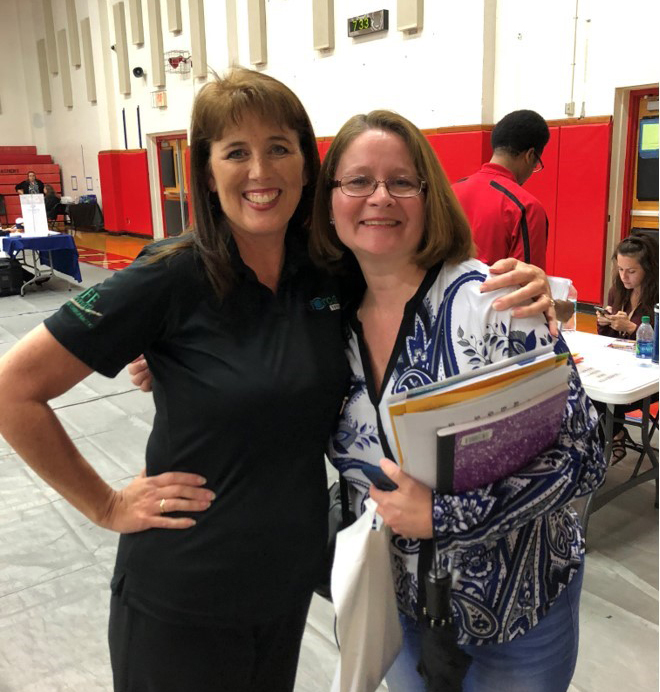 Regional Recruiter Heather Kimbley hosted a LIFE U booth at the HOSA-California event, sharing information with high school students about Life University and becoming a chiropractor. 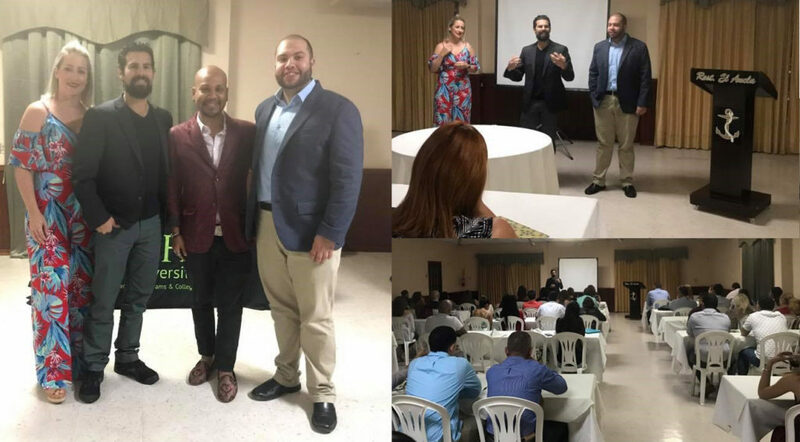 Dr. Tony Janssen and Dr. Sukhi Muker, LIFEforce Doctors, overseeing and mentoring 50 chiropractic students in the Baja of Mexico where they dove into chiropractic services, personal growth and development, health and LIFE mastery. It’s great to see a LIFE Alumnus, LIFEforce Doctor and Supporter giving back to the profession and showing lasting purpose! 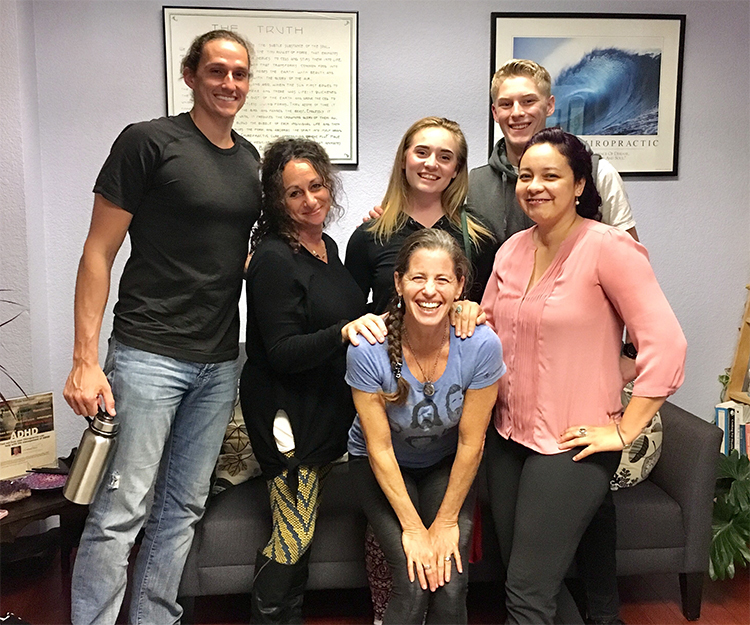 Successful & Impactful SRE with LIFEforce Tribe Member, Dr. Noel Steinle. They are excited about starting a Pre-Chiro Club in Augusta. Drs. 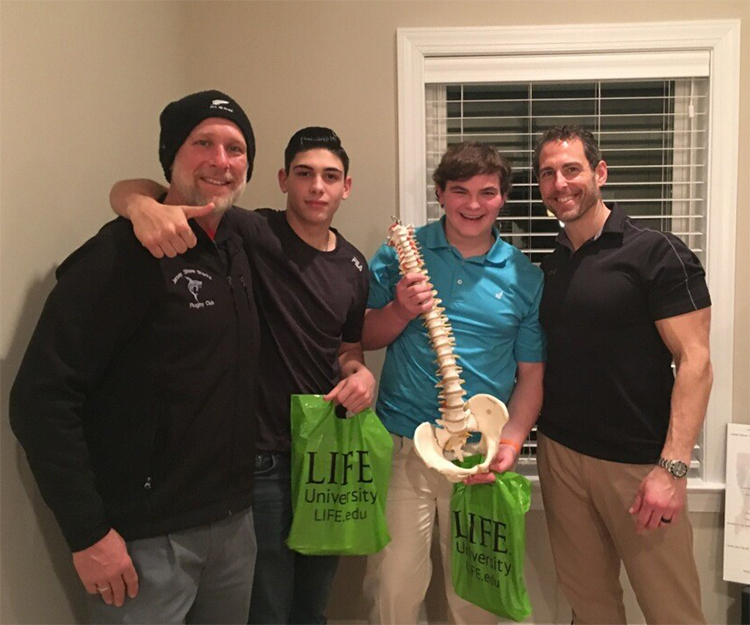 Anthony and Casen DeMaria sharing the chiropractic message to a group of high school students at West Lake High Health Fair. Dr. 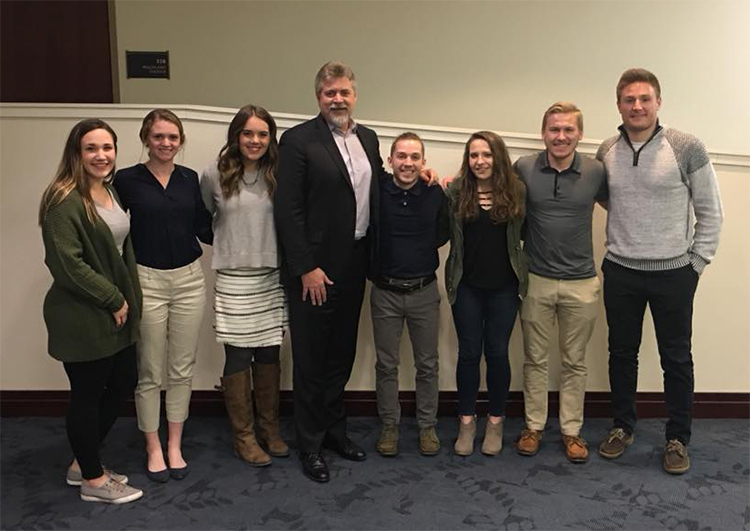 Rob Scott, Life University President and Erica Michaels, Director of Recruitment had a great time presenting to the Michigan State University Pre-Chiropractic Club. 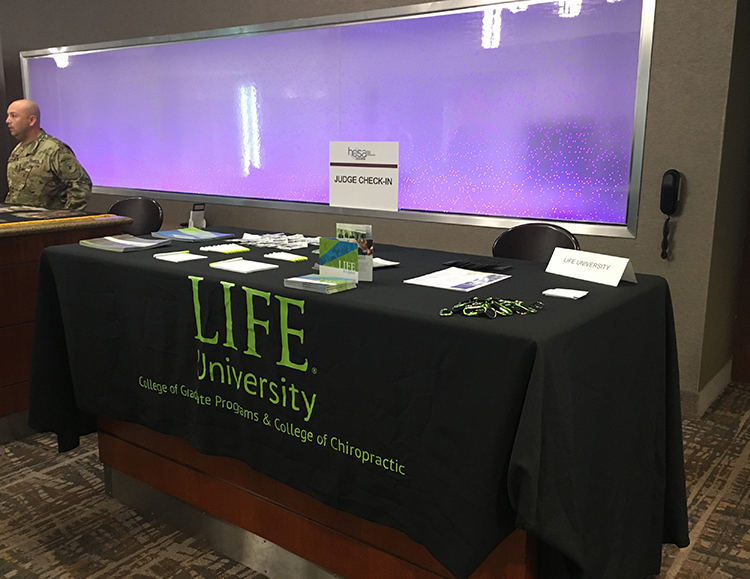 Carmina Bioc, Regional Recruiter sharing information about Life University and Chiropractic at the BYU Allied Health Club. LIFEforce Tribe Members in action! Dr. Stuart Katzen & Dr. Eric Benedetti inspiring and creating new possibilities for health care graduates. 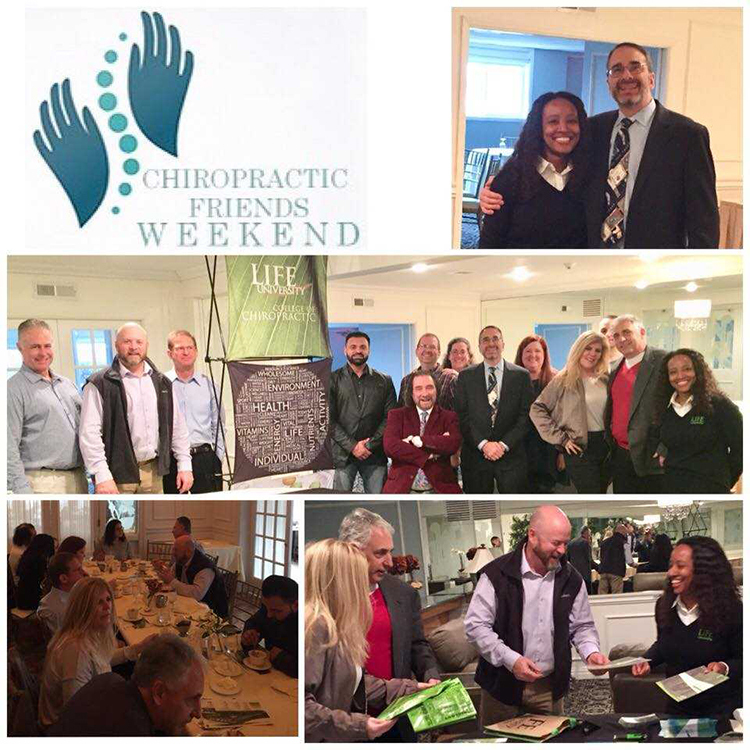 Life University Senior Admission Counselor Jasmin Collins and Dr. Gary Scardino at Chiropractic Friends Weekend! 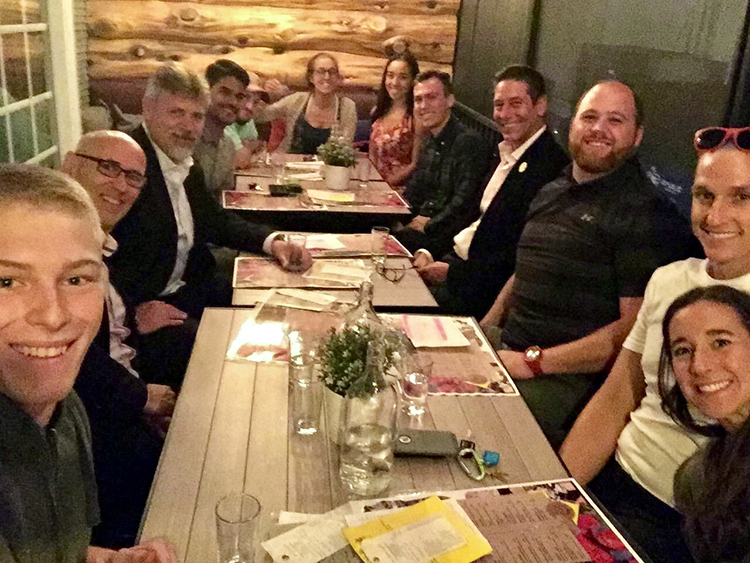 Connecting with so many extraordinary doctors, and prospective LIFE students it was truly rewarding! Great SRE last night with LIFEforce Doctors Joe Lupo, Keith Khalil, Joseph Estrada, Keith Hohf, and Shaun Wrubel in Roseville, MI. 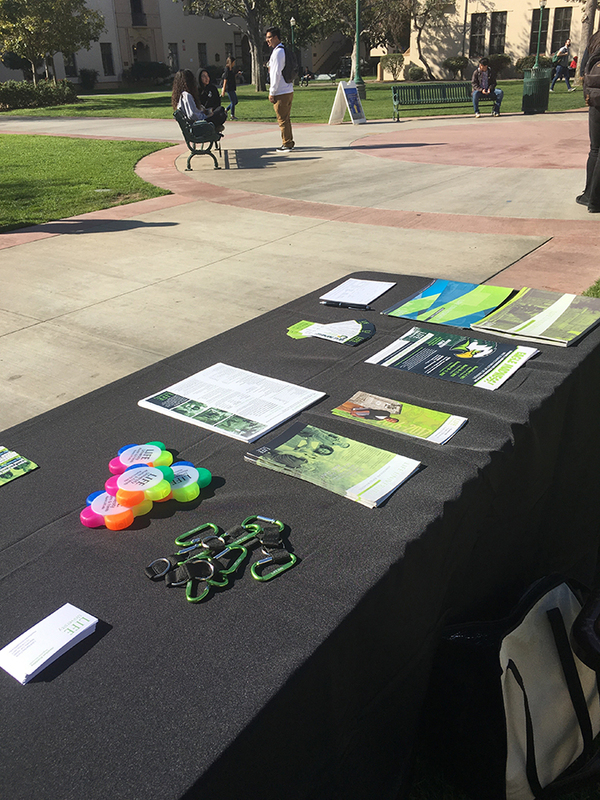 Regional Recruiter Heather Kimbley had an amazing opportunity sharing Chiropractic to prospective students at University of California-Irvine campus’s Biological Sciences Club. 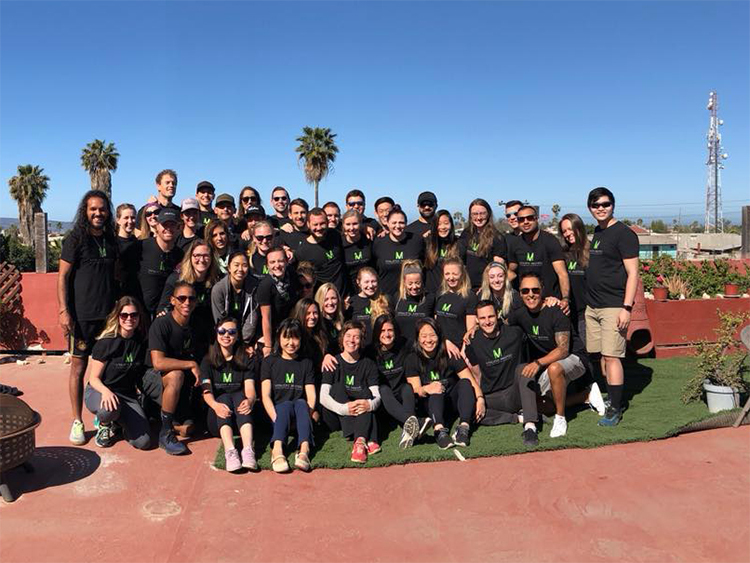 Many students who were pre-med and pre-PT majors discovered new insight to the meaning of true health and healing. 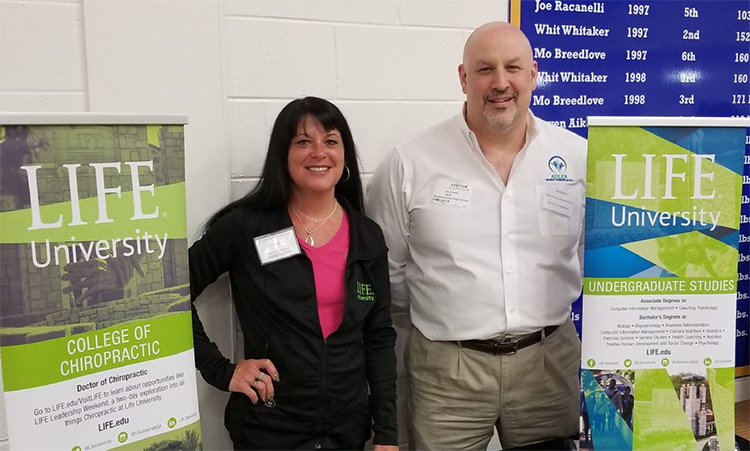 Thank you to LIFEforce Tribe Member, Dr. Daniel Kimbley and NEW LIFEforce Tribe Member, Dr. Liz Hoefer for speaking to the club. 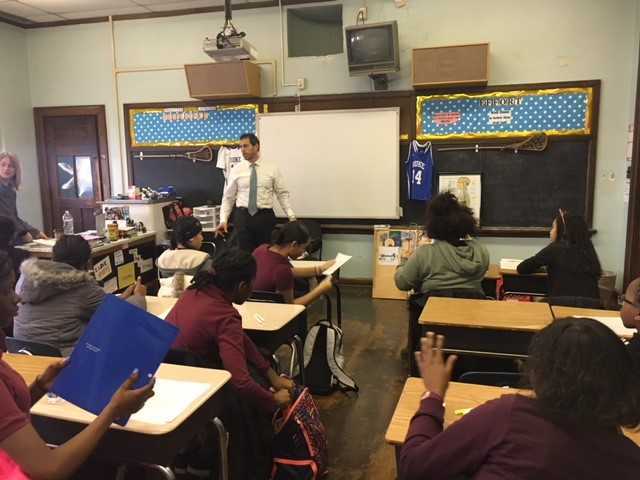 Dr. Stu Katzen and Regional Recruiter Eve D’Onofrio had a chance to speak to a class at the Finletter School in Philadelphia. 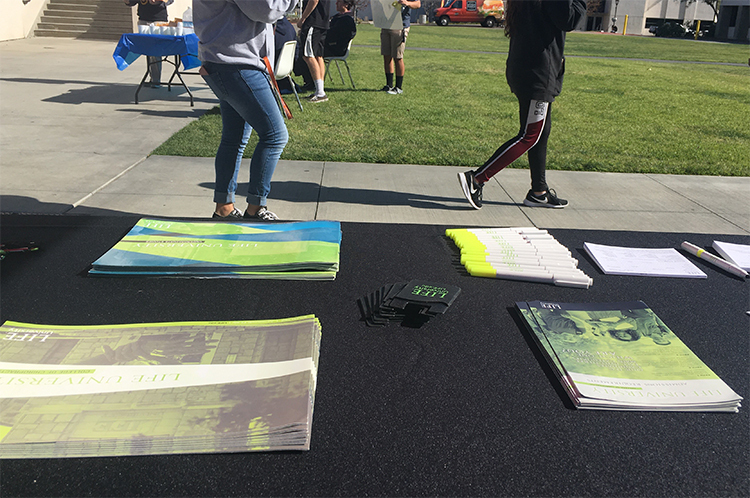 Beautiful day for an SRE table set up today at Fullerton College. Opportunities to share LIFE’s undergraduate and DC program with prospective students. Danielle Janssen, Regional Recruiter had the opportunity to meet with a group of high school senior. Many of the students are part of their HOSA program. 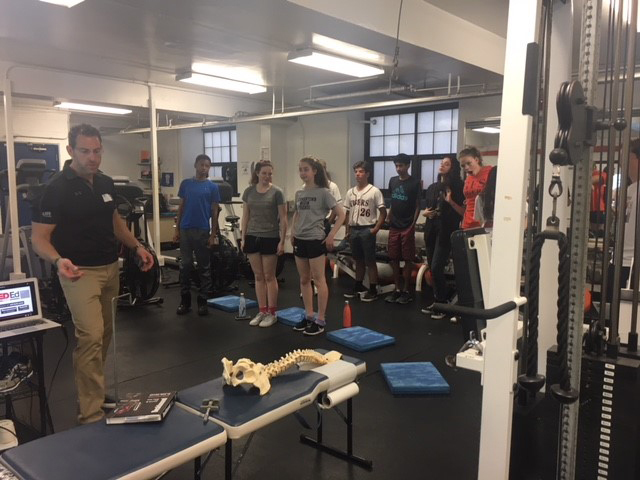 Students were excited to hear about LIFE U, Chiropractic and about our Sports Health Science offerings. Also pictured is: Dr. Chris Hargrave owner of Life Aligned Clinic. Dr. Stu Katzen has a one on one SRE from a follow up at Temple University this past fall with Stephanie Ferrer. She plans on attending LLW in April! Dr. Danny Gambino rocked it as our MC at LIFEUjam @ Cal Jam. Students spent the day with LIFE and had a chance to hear from some amazing speakers to include. Dr. Guy Riekeman, Dr. Rob Scott, Dr. Brad Glowaki, Dr. Brian Stenzler, Dr. Daniel Kimbley, and Dr. Sogoal Feizi. Dr Stu Katzen has a one on one SRE from a follow up at Temple University this past fall with Jorge M from Temple University. 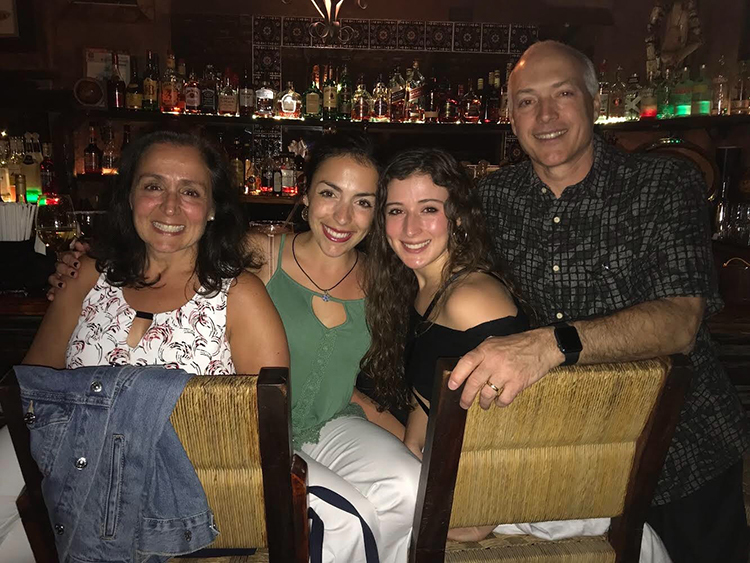 Dr. Claire Welsh met with Jami and her family and her roommate who plans to study Chiropractic upon graduation. 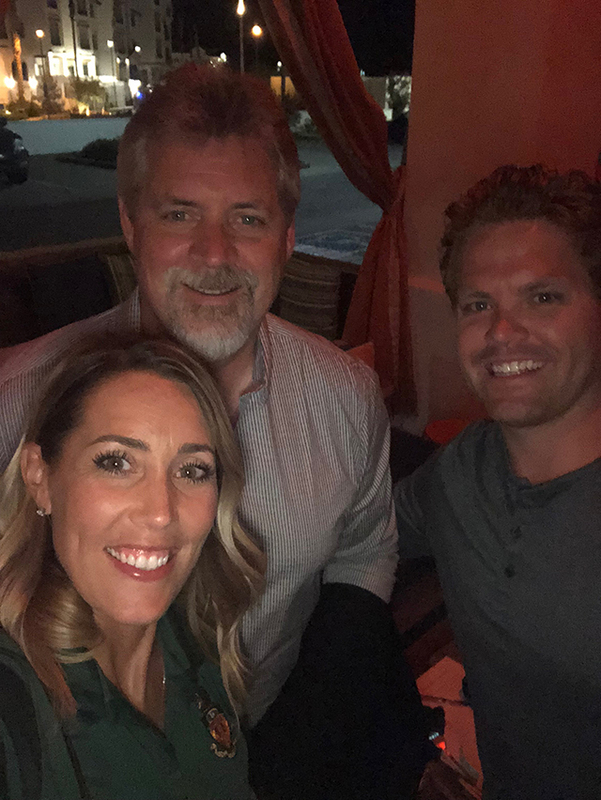 Heather Kimbley, Regional Recruiter hosted an SRE with Dr. Dana Tankell and Dr. Daniel Kimbley at Chiropractic Connection Wellness Center in San Diego, CA.